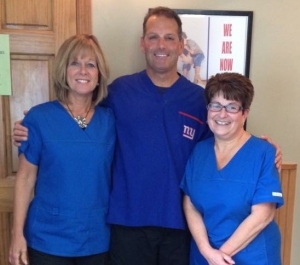 Donna, Dr. Casper and Roe welcome you to our office! Casper Chiropractic opened in 1987 to provide health care to the Utica community. Dr. James Casper is trained to detect and correct spinal misalignments with a hands-on approach. By reducing these misalignments, nerve pressure is removed that allows your body to function to the best of its abilities. Our purpose is to educate and adjust as many families as possible toward optimal health using natural chiropractic care. Rather than being a cure or covering up your symptoms, chiropractic care takes pressure off your nervous system so that the body’s innate intelligence can do the healing. Casper Chiropractic is for patients of all ages, from the littlest members of the family all the way to great-grandparents. When you see us for your first visit, we’ll thoroughly analyze your body to understand how best to help you. Our specific adjusting techniques enhance your body’s nervous system, improving your function. Dr. Casper and our friendly team take their time to educate you about your problem and how we’ll correct it, encouraging you to live healthier in all aspects of your life, such as diet and stress reduction. We also offer massage therapy in our practice for you to enjoy. You and your time are given the utmost respect through each step of your journey with us. X-rays taken on-site allow us to determine the cause of your problem. Contact our team today to book your first appointment!